My daughter use to go through headphones constantly. One side of the headphones would stop working or the headphone would snap off the from headpiece. It was real frustrating. Since I bought her these skull candy headphones, she has had no issues. It's so great to have durable headphones for once. While she's at shcool I often wear them. They are secure against my ears and definitely block out any background noise. They are comfortable and the headphone is thick enough that it sets softly on your head and doesn't attempt to fall off everytime you move. When I first gave them to my daughter she immediately fell in love with the design of them. She's unique and creative and now has 4 different sets of them that the she coordinates with her outfits. She makes sure she always has a pair within her grasps at all time. Whether at school, in the car, or at home, she always has a pair on. They work great on any electronic device you use them with. I received a pair of Skull Candy DJ Style headphones as a gift from one of my "music" friends. He recommened them to me, because ear bud headphones don't really work for me. They don't fit in my ears and cause me a lot of discomfort. They always fall out and I can't hear the music well. 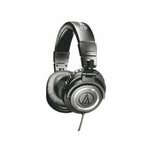 I have tried other overhead headphones, but I worry about the style. That's why I tried Skull Candy! These headphones are awesome! They are so comfortable and stylish! They have a fuzzy fabric where your ear hits, so it is so soft and comfortable. They also have great sound quality and have their own volume control. They really block out all other noise besides what you are listening to. I use them not only for music, but also when I am playing my piano and playing video games. It allows me to "get in the zone" and really focus on what I am working on. 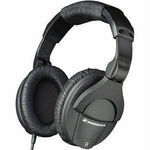 I really like these headphones, and recommend them very highly! They are worth the money for sure! 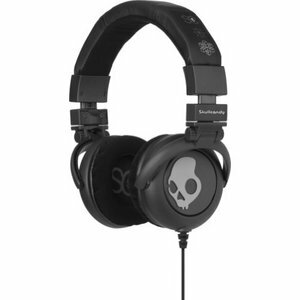 When I bought this pair of Skull candy headphones, I got them because I loved the design. When I read other reviews about the brand in other places they all said that they would stop working after a few weeks or months. The headphones looked very cool so I decided to take that risk because there was no guarantee that mine would malfunction. They arrived very fast because the shipping was only two business days. Another great thing was the packaging they came in. It was well wrapped and I knew that it was going to be well protected. The headphones have very good bass and treble too. The music I listen to sounds so much better when I use these headphones. I also like that they are such a unique design. Unfortunately for me, the headphones stopped working in one ear after about ten months. I was not happy at all because I had spent so much money on them at the store. The headphones are comfortable too. As a Skullcandy user for nearly 2 years,I have semi recently upgraded to the GI's.The Red Print is my favorite and they are lightweight,affordable,and the sound quality is amazing. The only thing they should improve on is the durability,mine broke-but thanks to the warranty I have it all sorted out. The Skull Candy G.I. Consumer Headphones are definitely a good brand of headphones. 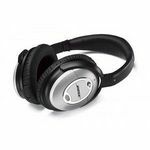 The headphones are an affordable price and are definitely worth paying for since they are a high quality brand of headphones. The sound quality is great and you can definitely hear how crips your songs are through the headphones. I saw these at the store and knew that I had to try them. They looked so sleek and modern and I am always up for trying out new products. I do wish that the cord was a little longer because I do feel a little limited with the cord length that is provided. They are so comfortable and I love wearing them. Little earbuds that can be placed inside your ears are a little uncomfortable for me and can make my ears hurt. These headphones can be conveniently placed on my head for hours at a time and are an absolute must have when you are going on road trips or have to wait around for a long time. 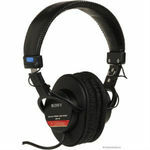 Durable quality headphones for DJs, or dedicated musicians. If you're looking for some quality headphones that block out the sounds of everyday life and accomodate to your musical preference, the Skullcandy G.I. headphones are great to have. 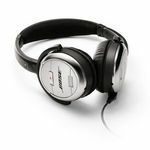 These headphones are good for those who are very active, plainly because they were made for movement. The cord is quite strong, and the plug in jack on the end is plated with gold, which makes them hard to break, even when dropped. The sound quality is perfect! The headphones are capable of crystal clear highs, rich lows, and great sound in between of course. The volume control in the equiptment is convenient. There is little to no static at the highest volume. Not only is this product great for the money, it's very stylish. I bought the red and black phones, and they have a busy and almost scary design. There are also headphones that come in black, white, grey, brown, and green. For the DJs, this is a must. The headphones, when ordered over the internet, come with a case, replaceable earpads, and an extender cord (for those who need extra freedom).